Copper Canyon Press, 9781556594908, 80pp. 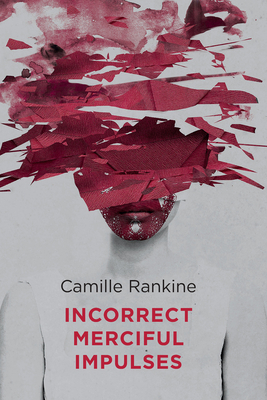 Named "a poet to watch" by O Magazine, Camille Rankine's debut collection is a series of provocations and explorations. Rankine's short, lyric poems are sharp, agonized, and exquisite, exploring themes of doubt and identity. The collection's sense of continuity and coherence comes through recurring poem types, including "still lifes," "instructions," and "symptoms." my escape. I walk into the water. which is blue like the sky. Camille Rankine is the author of the chapbook Slow Dance with Trip Wire, selected by Cornelius Eady for the Poetry Society of America's Chapbook Fellowship. The recipient of a 2010 "Discovery" / Boston Review Poetry Prize and a MacDowell fellowship, her poetry appears in Boston Review, Denver Quarterly, Tin House, and other publications. Currently, she is assistant director of the MFA program in creative writing at Manhattanville College and lives in Harlem. Camille Rankine is the author of Slow Dance with Trip Wire, selected by Cornelius Eady for the Poetry Society of America's Chapbook Fellowship. The recipient of a 2010 "Discovery" / Boston Review Poetry Prize and a MacDowell fellowship, her poetry appears in Boston Review, Denver Quarterly, Tin House, and other publications. Currently, she is Assistant Director of the M.F.A program in Creative Writing at Manhattanville College and lives in New York City.